Surprise!!! 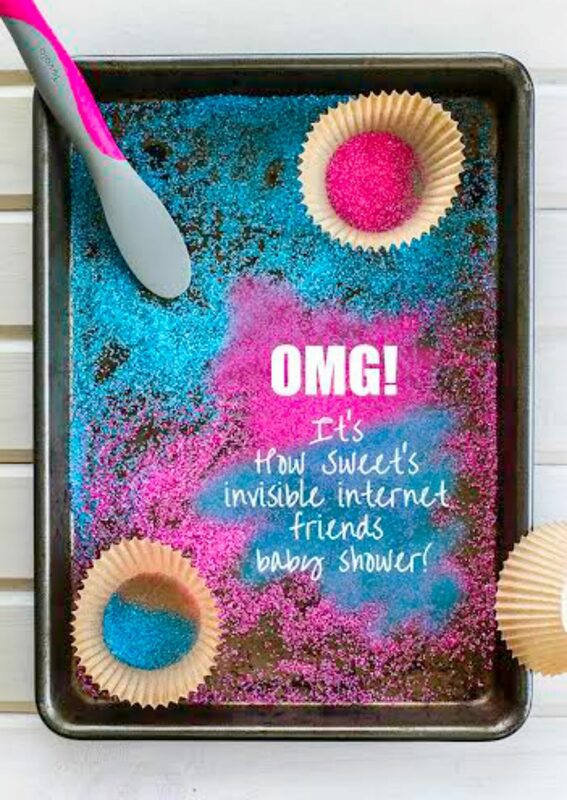 Happy Virtual Baby Shower, Jessica!! Today, we are celebrating a woman that needs no introduction. Jessica of How Sweet Eats is having a baby in t-minus a month and released the wildly popular, Seriously Delish cookbook back in October! If you haven’t heard of her, I’m sending over The NPH to your house in 3….2…1….for a little slapping around. I haven’t met Jessica in person, but if I did, I probably would tackle hug her and then dive into discussing our obsession with Homeland & Sons of Anarchy. Jessica is someone that I admire not only because her recipes are completely epic. Hello Smoked Gruyere Butternut Soup, Cider Bourbon Jam Cocktails, and Homemade Graham Crackers. But her work ethic and sheer drive constantly remind me to keep my wheels churning. And to always add sprinkles. So, what better to celebrate Jessica and her over the top, trashed-up food then having a baby shower in a diner! I thought it would be better then a bar, “You have a baby, in a bar.” Name that movie! The burger I am sharing with you today is a twist on the all time favorite American diner dish, chicken fried steak. You know the famous pounded out steak that’s fried like fried chicken and comes with all the fixin’s. Growing up in Kansas, they feed it to you once a day. Just kidding. Maybe. Instead of frying the burger, I thought, why not fry the bacon? Thus, chicken fried bacon. 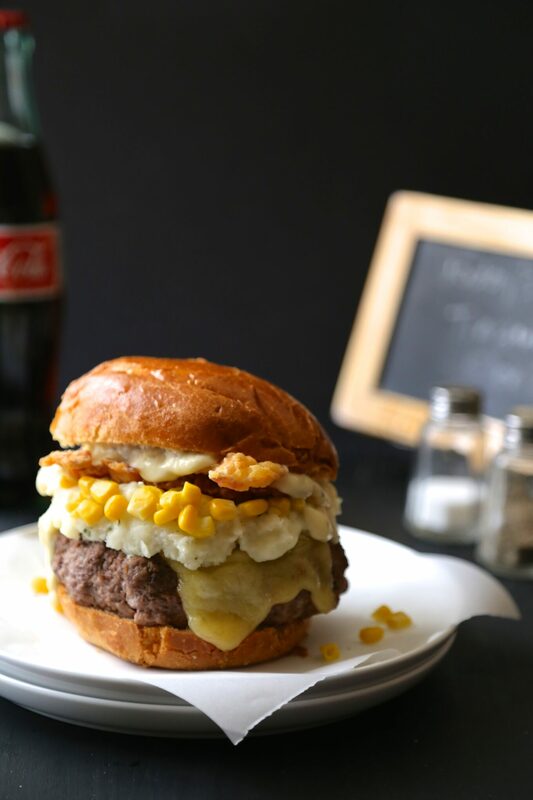 I topped the burger with provolone, mashed potatoes, corn, and smothered it with Dijon gravy. It’s trashed-up diner comfort food to the chicken max, yo. Make sure and check out the rest of the diner crew! Happy Baby Shower! In a bowl, combine veal, ground beef, Tabasco, and s&p. Form into four large hamburger patties. Preheat a skillet to medium-high heat and melt butter. Add the patties to the skillet and saute for about 5 to 7 minutes on the first side. Flip and cook for another four minutes. With about a minute left, place provolone slices on top and allow to melt. Remove patties from skillet to rest before eating. To serve, place hamburger patty on bottom bun. 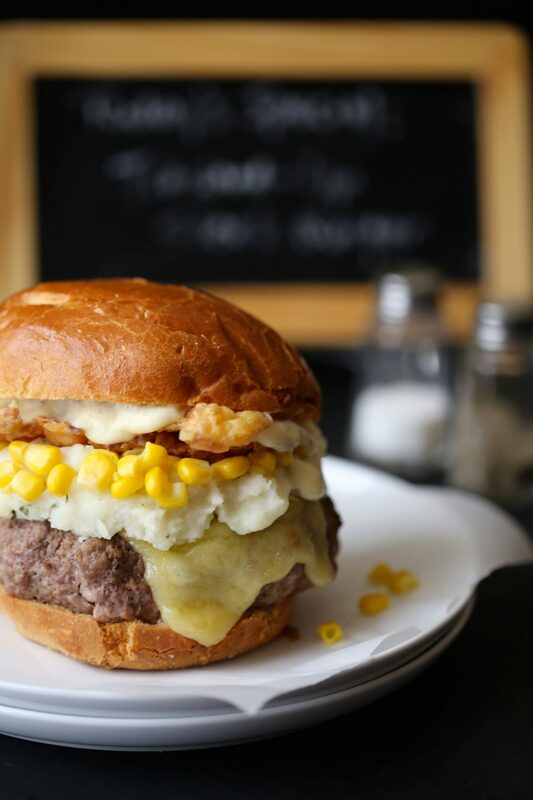 Top patty with chicken fried bacon, corn, mashed potatoes, Dijon gravy, and top with bun. Devour immediately!! In a bowl, add the flour with salt and pepper. In another bowl, add the eggs and whisk. Take a bacon strip and dip it into the flour, then the egg, and back into the flour again. Set aside. Repeat with remaining seven slices of bacon. Allow the bacon to rest for about 5 minutes. Meanwhile, add oil to a 10-inch cast iron skillet about 2 inches and heat to 350 degrees. Then add two or three slices at a time. Cook for about four to five minutes, flip, and cook for another two. 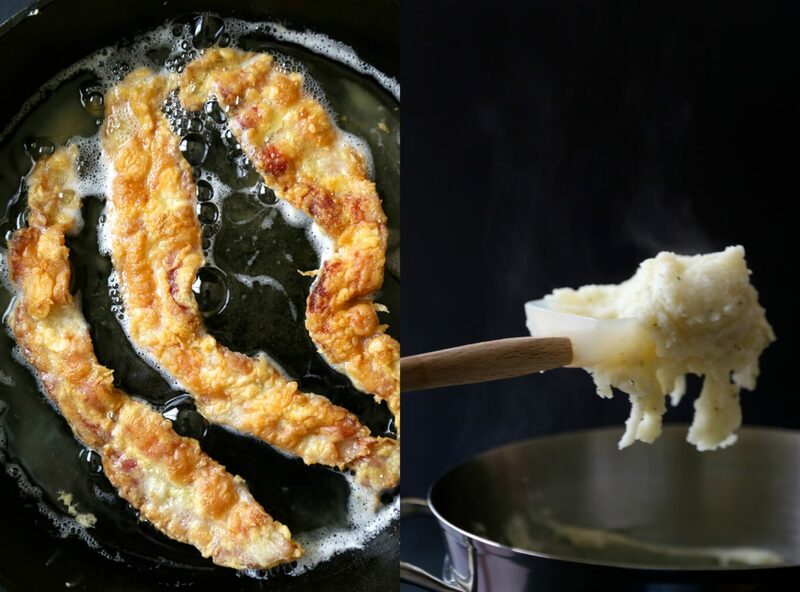 Remove chicken fried bacon from the skillet and place on a plate lined with a paper towel. Repeat process until all the bacon has been cooked. In a medium saucepan, melt butter over medium heat. Add flour and continue to whisk until the flour has cooked out and a roux forms; about a minute. Gradually pour in the milk and continue to whisk until thickened. Stir in Dijon gravy with s&p.